The cycle of life. 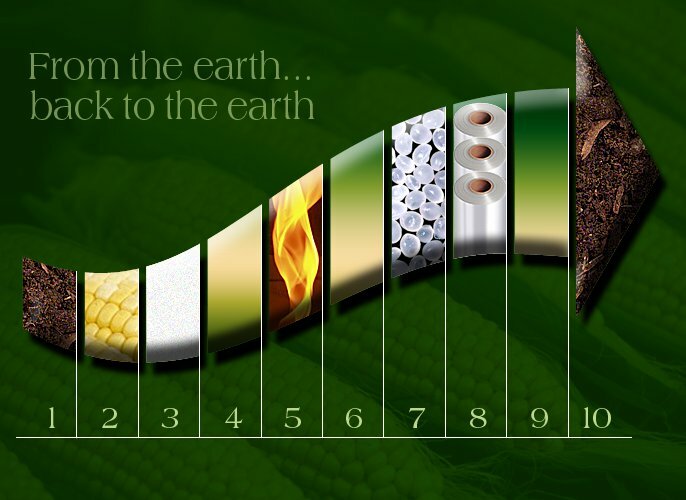 From the earth... back to the earth. Plants are grown in the earth and picked by farmers. At the mill the plants are cooked 30 to 40 hours at 50°C. The machines grind the plant to extract the starch. A micro organic process ferments the plant creating lactic acid. Lactic acid is heated creating lactide monomers. Lactide molecules are opened then linked into polylactide polymer. 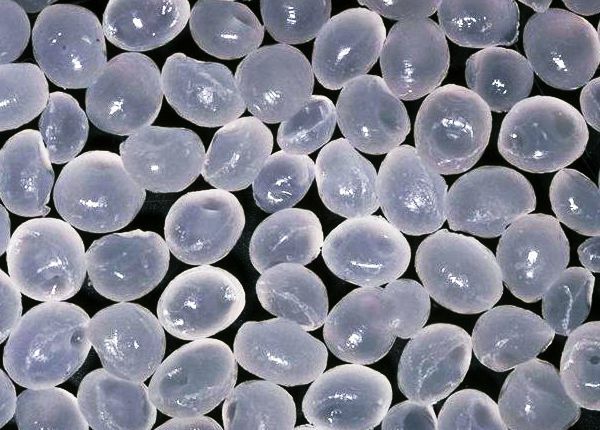 The resulting natural plastic is formed into PLA pellets. Bi-Ax converts pellets into crystal clear high grade Evlon film. Rolls of Evlon film are made into packages. Packaged film is put into composts where it converts to mostly water and CO² within 90 days. NatureWorks® bio-polymer, the polylactide resins used to make Evlon Compostable Plastic Film are manufactured by NatureWorks LLC, a stand alone company wholly owned by Cargill. Through a series of fermentation and extraction processes, plant-based sugar molecules are transformed into lactide monomers and then ultimately, into NatureWorks® bio-polymer pellets. The pellets are then converted into Evlon Compostable Plastic film by BI-AX International. NatureWorks® (NatureWorks® manufactures polylactide, which is simply a polymer chain made up of lactide monomers.) Visit NatureWorks® for complete information about NatureWorks® bio-polymer.